Statistics Canada reported Friday that while five provinces posted job gains, they were offset by large decreases elsewhere, notably in Quebec and Ontario. 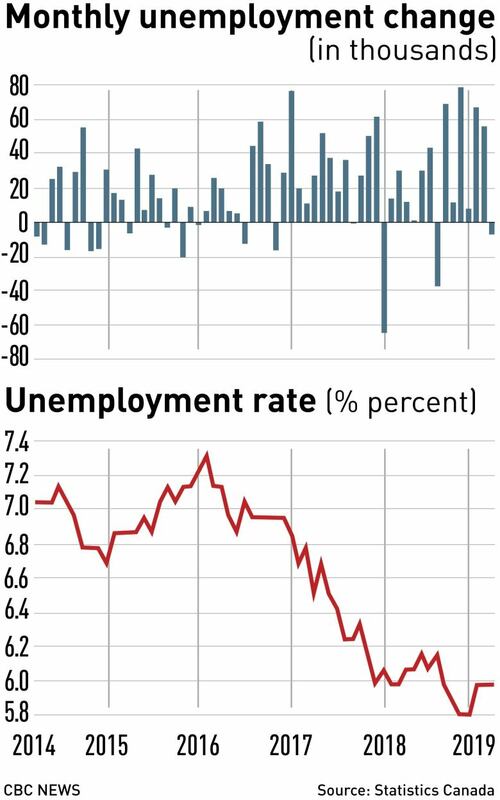 The job market in Nova Scotia, meanwhile, was unchanged. The jobless rate held steady despite the loss of jobs, because there were fewer people looking for work, too. “The end of a six-month streak of job gains is sure to catch headlines, but given the strength we’ve seen over the past half-year, a flat report isn’t really surprising and indeed makes some sense, given the relatively modest performance of other economic indicators in recent months,” he said. Scotiabank economist Derek Holt also found some cause for optimism in the numbers — namely that the number of hours worked and wages were both higher, despite there apparently being fewer workers. “The decline is inconsequential in the grand scheme of things, and masked other encouraging evidence such as a large gain in hours worked that is a strong early start to tracking March GDP,” he said. “When you’ve been surprised to such a great extent at the upside for so long, being reserved toward a minor flesh wound in the latest [jobs number] is probably the best course of action,” Holt said.